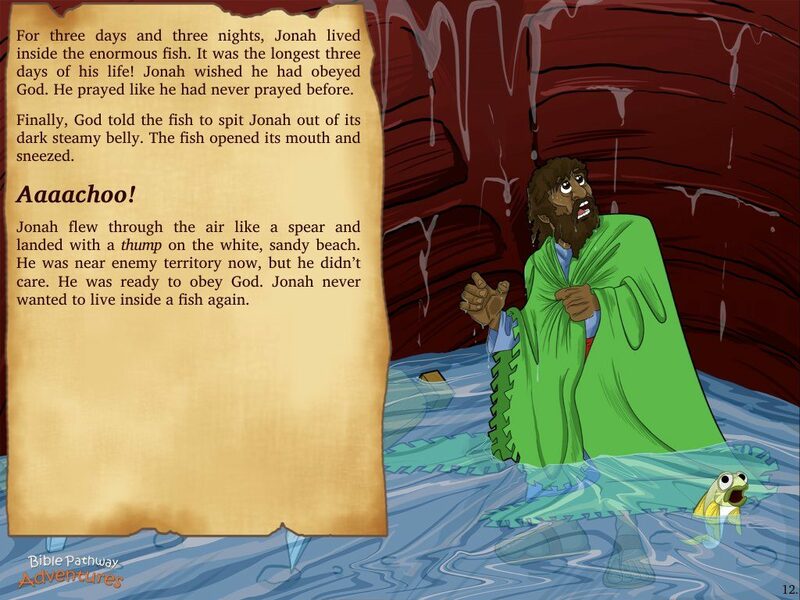 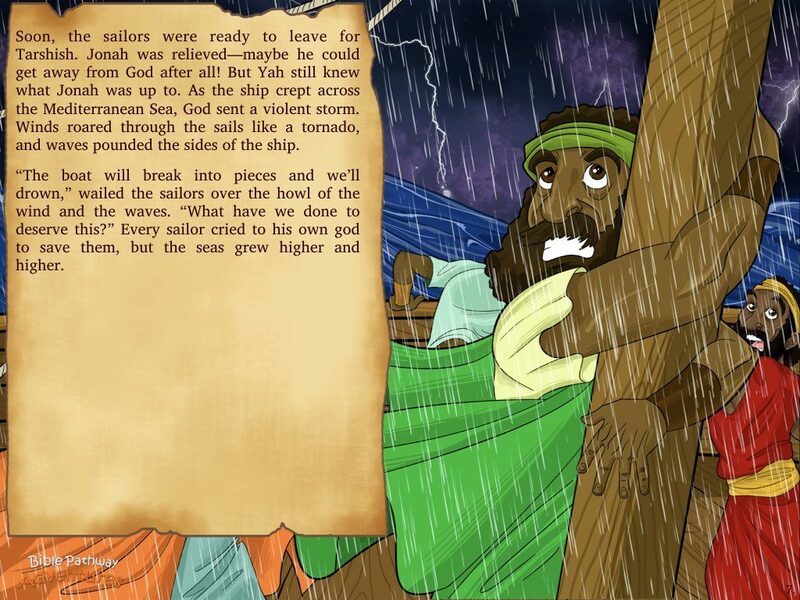 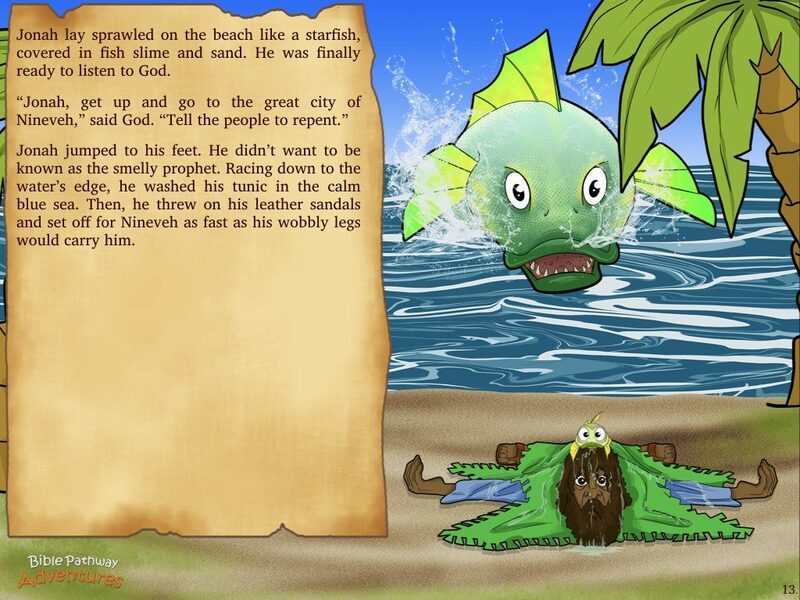 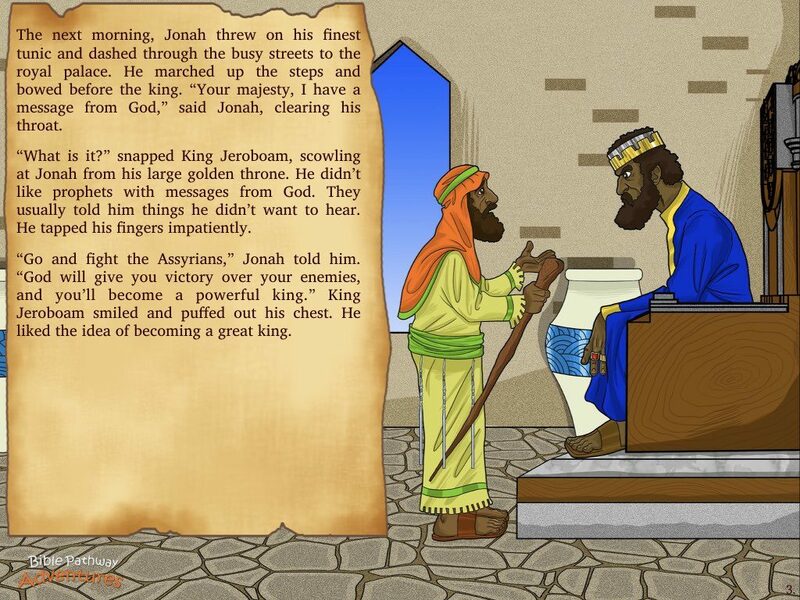 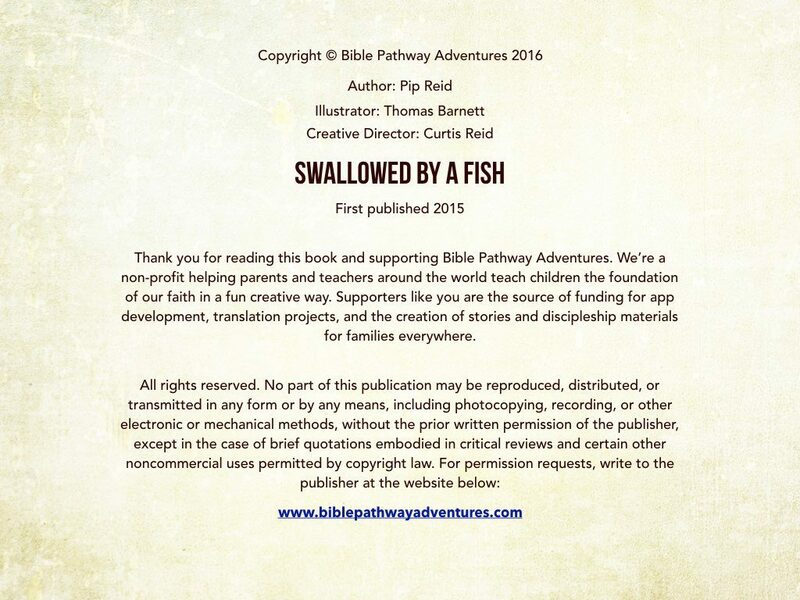 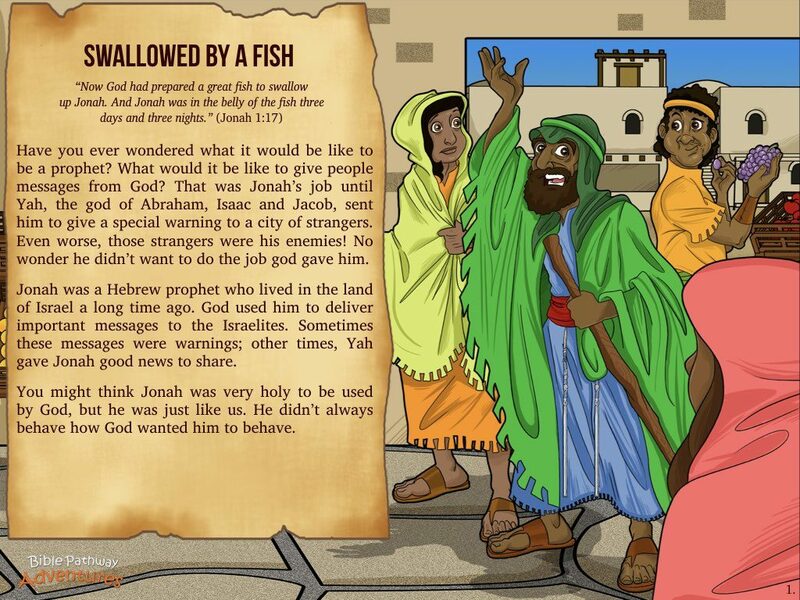 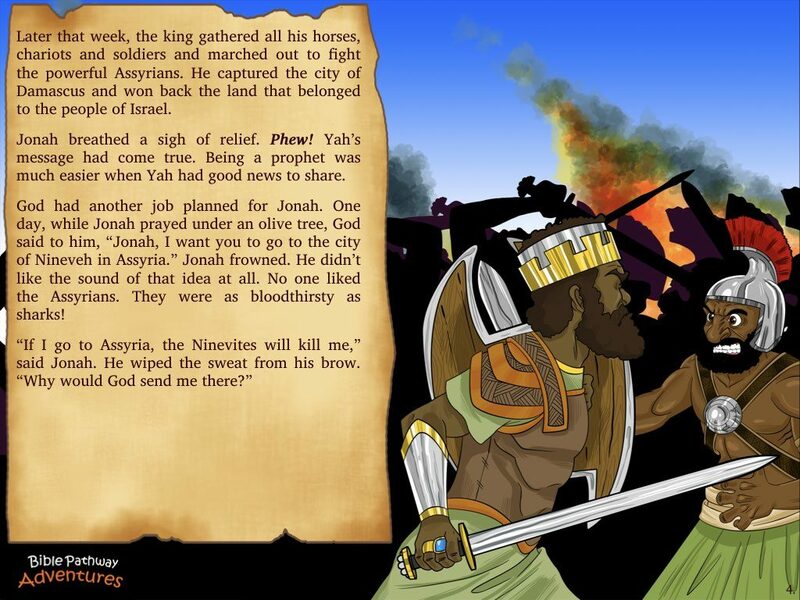 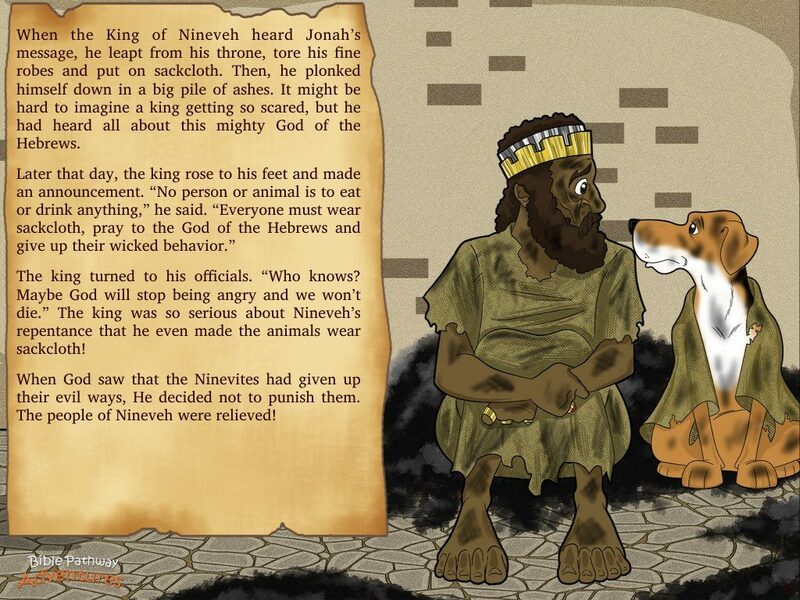 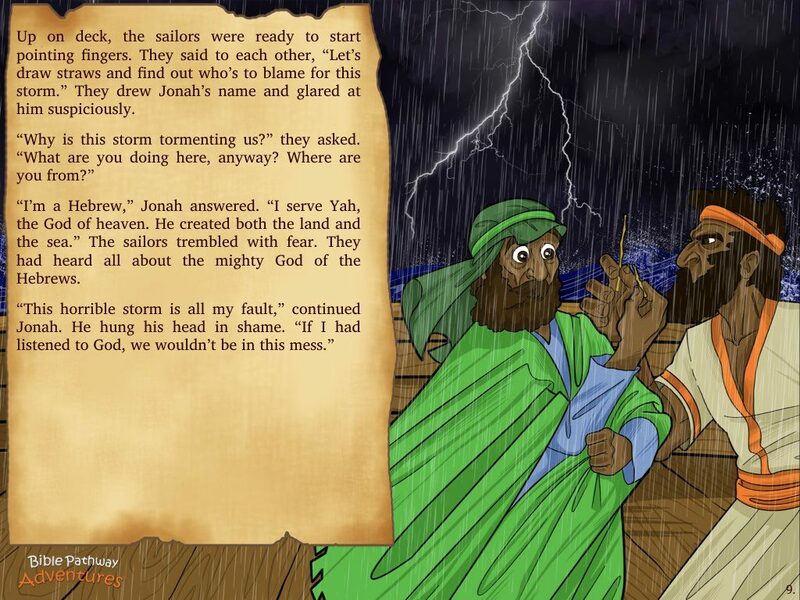 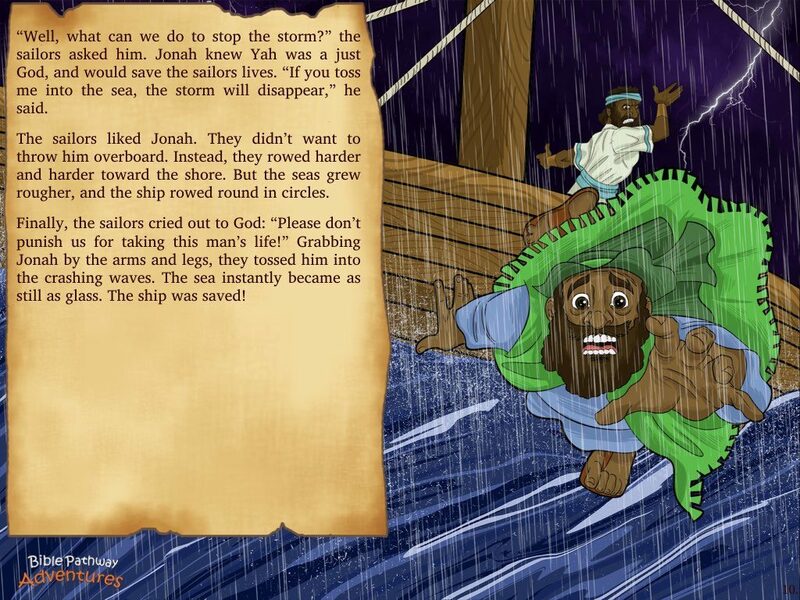 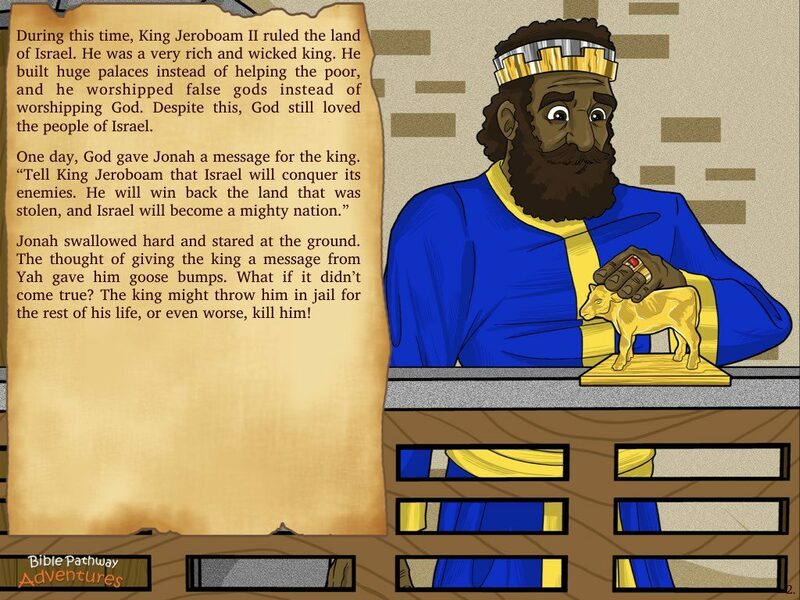 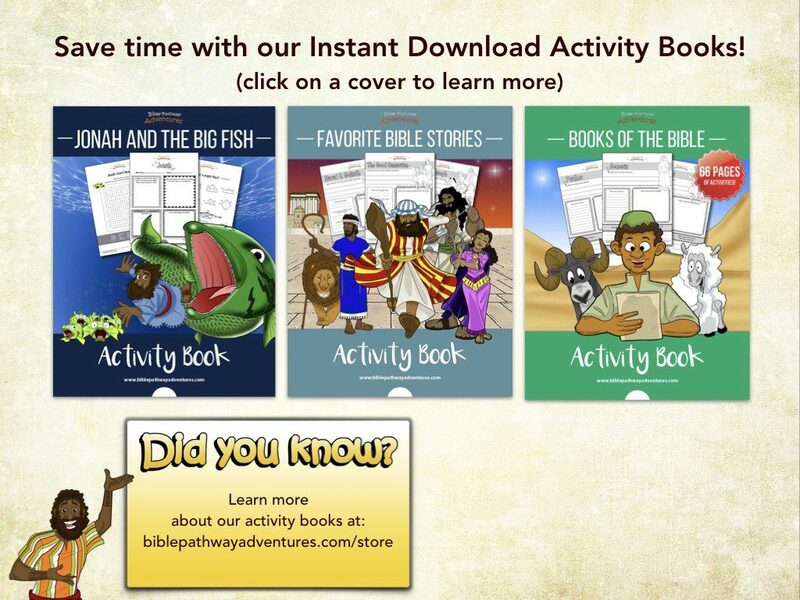 Listen to Jonah | Swallowed By A Fish above and click the next page to follow along using our Storybook options. 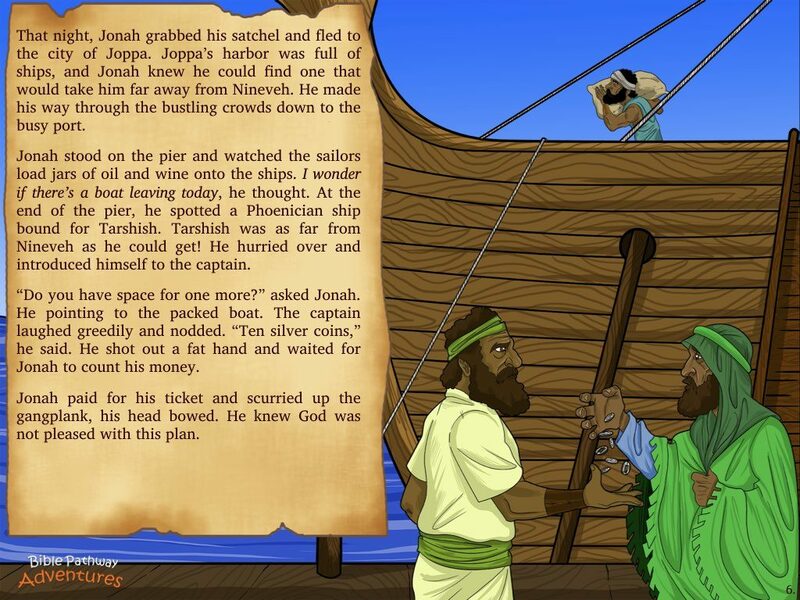 Jonah’s life is about to change. 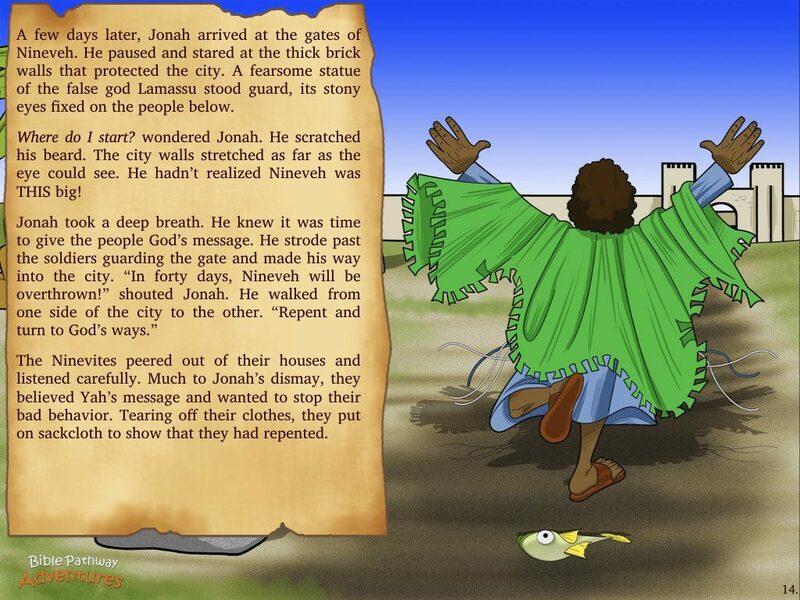 Asked to preach repentance to his enemies, the Hebrew prophet tries to do what can’t be done – run from God. 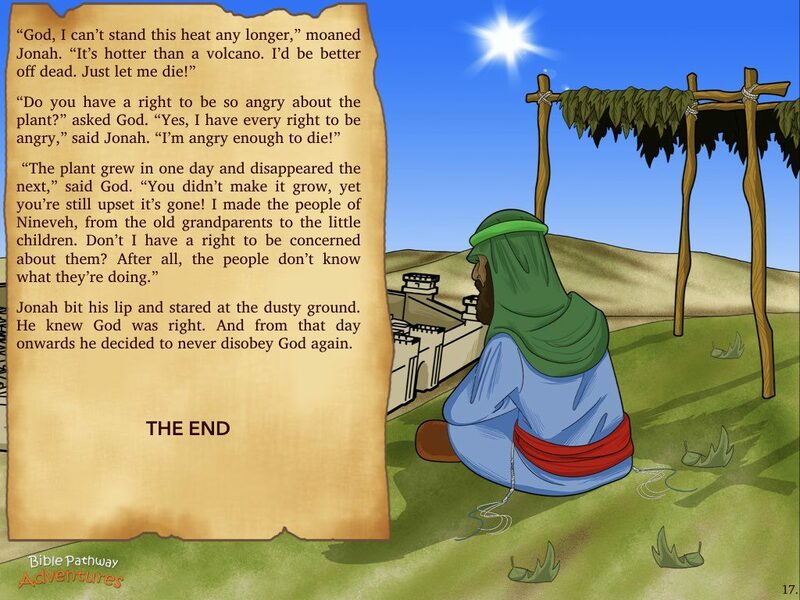 But things don’t go according to plan. 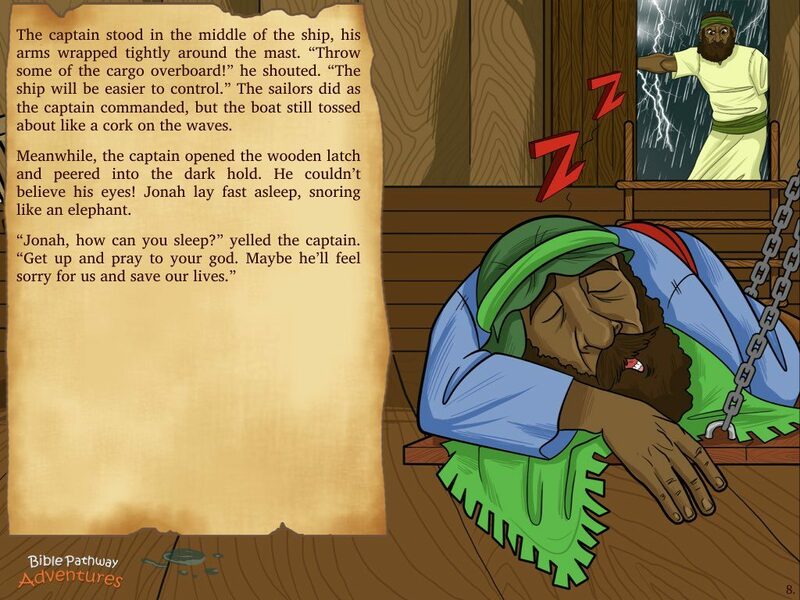 He never expected to be thrown overboard into the Mediterranean. 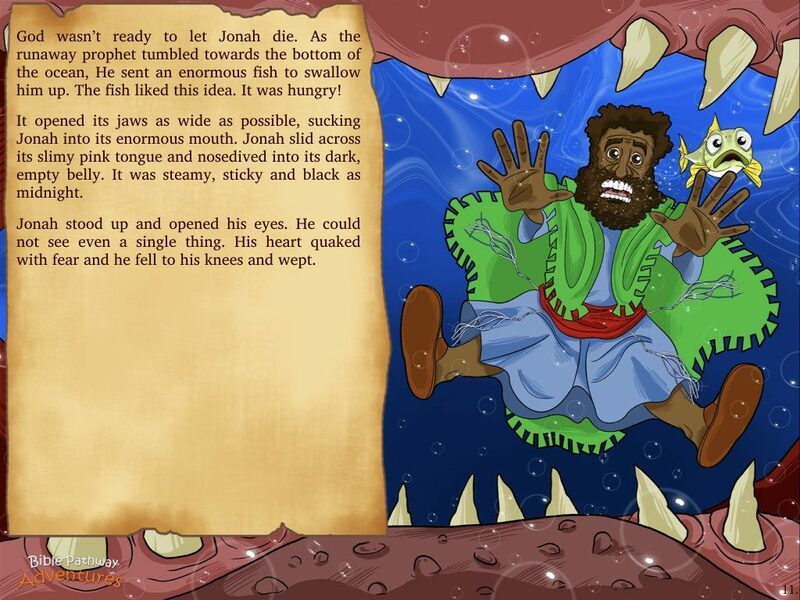 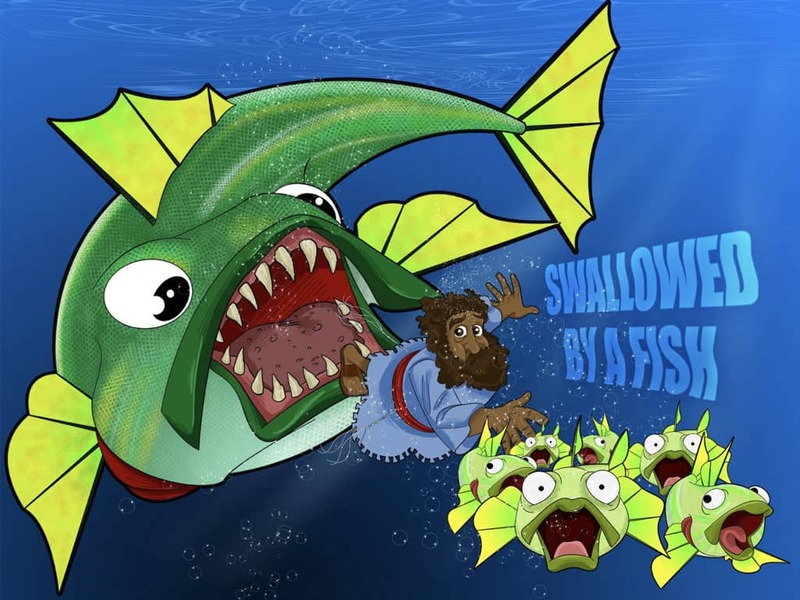 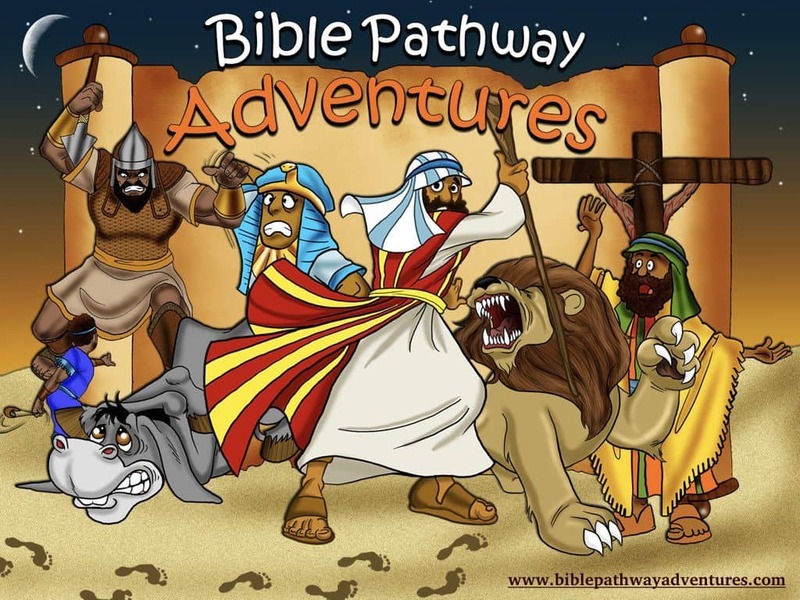 And, unfortunately for him, Jonah is swallowed by a giant fish… Trapped inside the fish for three days and nights, Jonah decides to finish the mission God gave him. 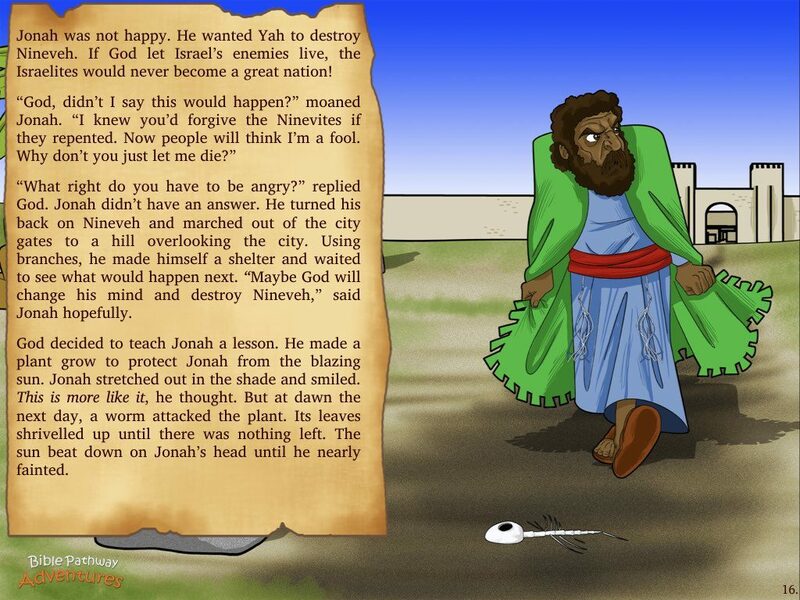 He heads to Nineveh. 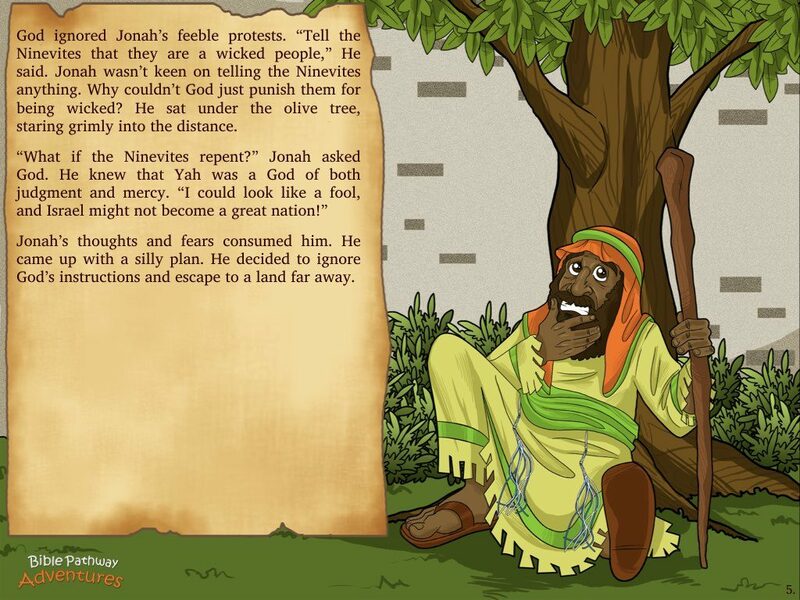 But will his enemies change their wicked ways and turn back to Yah?